This month’s program will be the PSA Sequence Show and Medium format 3D. Be sure to come to see the sequences. The competiton is organized by Lee Pratt and this year has an entrant from ASA club members. The medium format workshop will feature a new camera and viewer. The meeting is the 2nd Friday of this month –April 13th. We will meet at 7:30 PM at the Congregational Church @ 2676 Clairmont Road (about 1 1/2 blocks south of I-85) This is the Church up the winding road, through the woods. If you have any questions, call Bill Moll @ 706-859-7726. 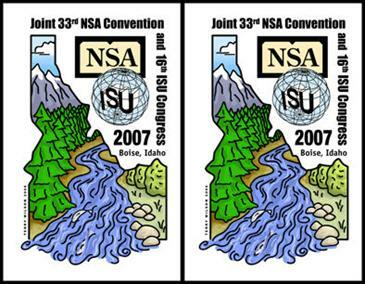 July 10-17, 2007 - NSA Convention/ISU Congress in Boise, Idaho. See http://2007.nsa3d.org/ for more details and forms.